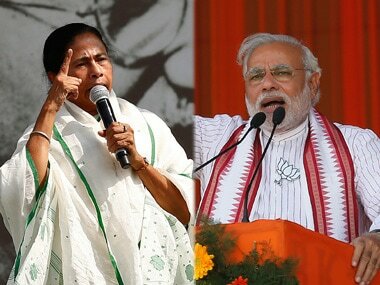 Kolkata: In its quest to win 22 seats out of total 42 seats Lok Sabha seats in West Bengal — a target set by BJP national president Amit Shah for the 2019 polls — the BJP has adopted a 'cloak-and-dagger policy' to poach a significant number of Trinamool Congress (TMC) heavyweights to its fold. The Opposition party in state Assembly, which is yet to come to terms with the recent defeat in its strongholds like Madhya Pradesh and Chhattisgarh, has set its sight on nine states from eastern India to hit the goalpost in 2019 general elections. The saffron party leaders are hopeful of winning more than 50 out of the 67 seats in these states. West Bengal features prominently in BJP's election strategy as it alone sends 42 MPs to the Lower House. And to take on the ruling Trinamool Congress head on, the saffron party is unleashing every trick to create a divide in the ranks of TMC. The BJP has targeted constituencies where TMC's base has weakened due to non-performance of sitting MPs and where it has a divided house due to internal squabbles. And at the time, the saffron party's homework and strategy to dent TMC's base seem to be paying off. Sources say that it is targeting Lok Sabha constituencies in Purulia, Bankura, Bardhaman Purba, Medinipur, Jhargram, Barasat, Howrah, Hooghly as well as urban bases like Kolkata Uttar. Amid all this, Bishnupur MP Saumitra Khan joining the BJP comes as a morale booster for the saffron party and adds to the mounting troubles for the TMC just months before the high-voltage general elections. The TMC's knee-jerk reaction to Khan jumping ship was to quickly expel its Bolpur MP Anupam Hazra who is a close friend of Khan, in anticipation that he too may join BJP. The expulsion of Khan and then Hazra on the same day comes at a time when TMC supremo and Chief Minister Mamata Banerjee is desperately trying to cobble up a third front alliance to make TMC's presence felt nationally. The saffron party, meanwhile, heavily depends on ex-TMC number 2 Mukul Roy, who joined the BJP in 2017, to lure six or seven ruling party MPs and as many MLAs to its fold. Roy, an astute strategist who is credited with securing poll wins for his old party TMC, has so far been successful in inducting his close aide Khan. He is in close touch with another dozen party heavyweights, many of whom are either sidelined by Mamata or are scam-tainted. "It's the beginning. Several others like Saumitra are constantly in touch with us and are waiting to join our party. Amit ji has clearly asked us to ensure 22 Lok Sabha seats in Bengal and we're up to it. 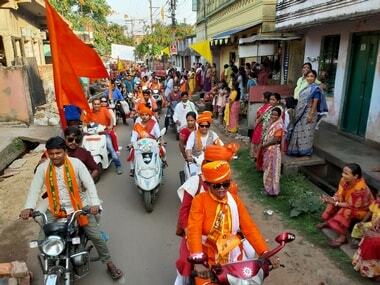 We'll go all out to meet the target given by him," BJP state president Dilip Ghosh said. A top BJP leader, who did not wish to be named, said the list of prominent TMC MPs who are in touch with the BJP include Sudip Bandyopadhyay, Satabdi Roy, Aparupa Poddar, Kalyan Banerjee, Ratna De Nag, and Kakoli Ghosh Dastidar. "Disgruntled party leaders, who have no voice in that party, are willing to join BJP which is a democratic party where everyone's opinion is given same value. 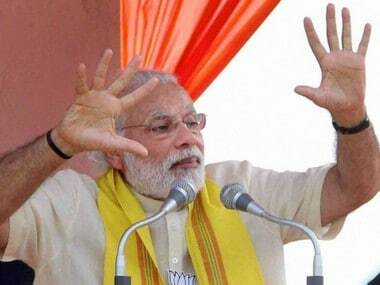 Naturally, leaders of other parties get breathing space in BJP," the BJP source said. 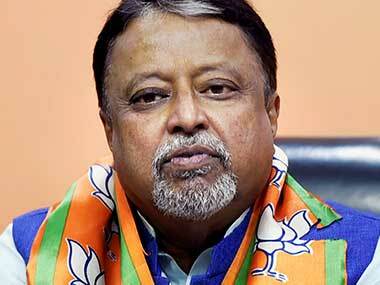 Another top BJP leader said, "These TMC MPs are sidelined due to the growing syndicate rule within the ruling party. An MP from North Bengal and an MP from North 24-Parganas who was also a former union minister will join our party soon. Talks are on with a woman MP from Hooghly as she too has shown interest in joining our party." Meanwhile, the TMC camp is keeping its fingers crossed. Party chief Mamata has, time and again, expressed her concern that a number of leaders and workers might leave and join the BJP. With Khan's induction into the BJP, this process may now be expedited. It's natural that the BJP, buoyed by its success, will launch a stronger offensives against the TMC. Meanwhile, Khan said he joined the saffron camp as it is a 'democratic party' and alleged that the TMC was the most 'undemocratic party' in West Bengal. "The TMC leaders claim that I was inactive and was involved in scams, but no one can ever prove that I am scam-tainted. The violence and tension in Bengal is due to the undemocratic acts of the TMC,” said Khan. "We are well aware that Hazra and Khan were in touch with Mukul Roy for nearly a year. Both of them even met BJP national president Amit Shah in Roy's presence. 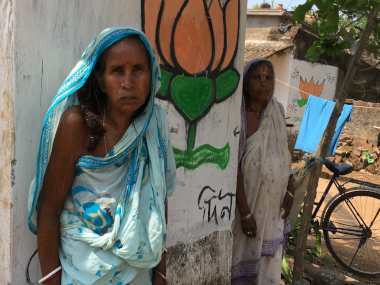 It was pre-planned that they will join the BJP just before the elections,” a TMC leader said on condition of anonymity. They also said that Roy, along with other state leaders, recently held closed door meetings with these MPs from the ruling party. However, the state leaders declined to comment on the issue. A source close to Roy also revealed that Shah has asked them to "keep the doors open" for the disgruntled elements leaving the TMC. Dilip said, "The BJP does not need to indulge in tricks to break TMC. Their leaders who have realised that BJP is the only future in Bengal are themselves showing willingness to join us." The possibility of TMC MPs joining the BJP has concerned Mamata, who has cautioned party office bearers against the BJP's moves earlier. "The BJP is unleashing money power and I'll not tolerate any indiscipline in our party," Mamata had told her party colleagues at a meeting in October last year. Another reason for Mamata to worry is the growing dissent in a section of party leaders against her nephew and MP Abhishek Banerjee. Khan also cited Abhisek's 'high-handedness' as one of the reasons behind him quitting TMC. Khan's close friend and Bolpur MP Hazra, meanwhile, claims he is shocked at being expelled from TMC. "I am shocked. Is using Facebook a crime? I have no idea. Neither there is any allegation of Narada or Saradha case against me, nor I am facing any corruption charges. But suddenly I came to know that the party has expelled me for anti-party activities. I would like to know the definition of anti-party activity from TMC supremo," Hazra said. Hazra, who earned the ire of his party on several occasions for controversial Facebook posts, had to delete his account from the social media site. The Bolpur MP was served a show cause notice by the TMC in February 2018 for his alleged derogatory remarks about Mahatma Gandhi and Jawaharlal Nehru. Meanwhile, Abhishek said, "Why didn’t Saumitra Khan switch his allegiance to BJP earlier? I dare them to win an election. The BJP will lose the two seats they have in Bengal. Trinamool will get 42 out of 42 seats in 2019 polls." He even asked Khan to explain how he had spent his MPLAD funds. Senior cabinet minister and Kolkata mayor Firhad 'Bobby' Hakim said, "The leaders must know that they are MPs because of Mamata Banerjee, even I am Firhad Hakim because she has blessed me. If she withdraws her support, we are all zero." According to political observer Mrinmoy Basu, such defections are a significant development for BJP mainly because Roy had been responsible for poaching leaders to TMC earlier in 2014. "Roy is well known for his shrewd political manoeuvres and mass appeal. He is widely credited for TMCs election wins in the past. Furthermore, Abhishek’s powers must not overshadow other leaders as there are significant faces in the party," he said. The political observer feels that these incidents do not augur well for the ruling party and can be a bad omen for TMC which now harbours national ambition.